The philosopher Immanuel Kant pointed out in his famous Critique of Aesthetic Judgment that there is something about aesthetic judgments which compels us to demand that others agree with us–and blame them if they don’t. It is not without hesitation that I post my “critique of academic library websites,” featuring my top college library sites for 2014, which is inspired in part by one of my favorite philosophers. 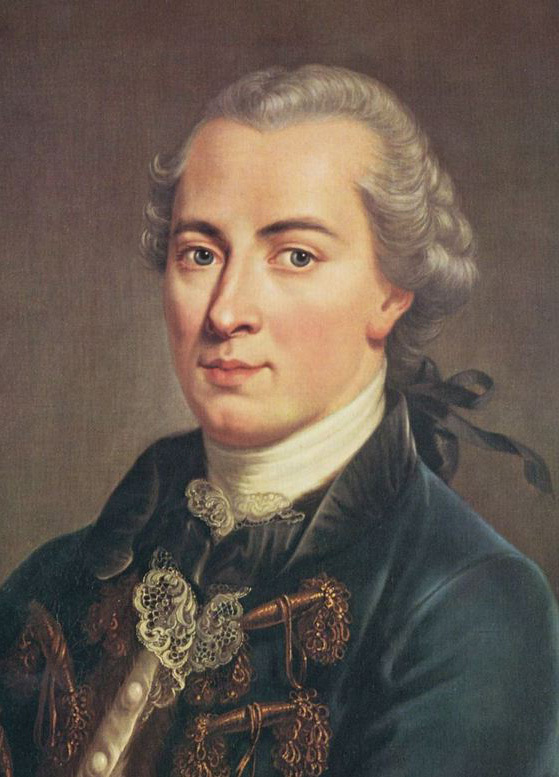 Kant is also known for having inspired German Romanticism at the time of the Enlightenment, making room for more than just “reason” (Rationalism). 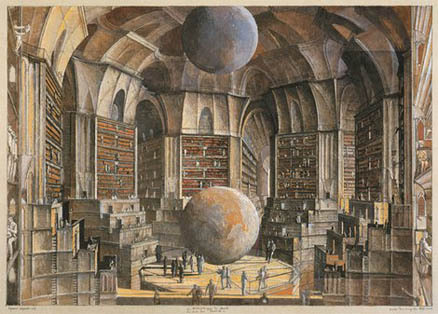 In the spirit of Kant, I believe libraries should stop thinking of themselves merely as providers of information and information literacy, and think of themselves as purveyors of a certain kind of very subjective user experience which goes beyond mere information to something grander, even “sublime” in the Kantian sense. In this context, I believe that, as much as possible, library websites should do what they can to emphasize their collections and promote an activity which has often been underestimated in academic research libraries: browsing, or as I like to call it, serendipitous discovery. Luckily, the tools and technologies are now available to encourage a more immersive online library experience, even though average screen sizes have gotten much smaller. 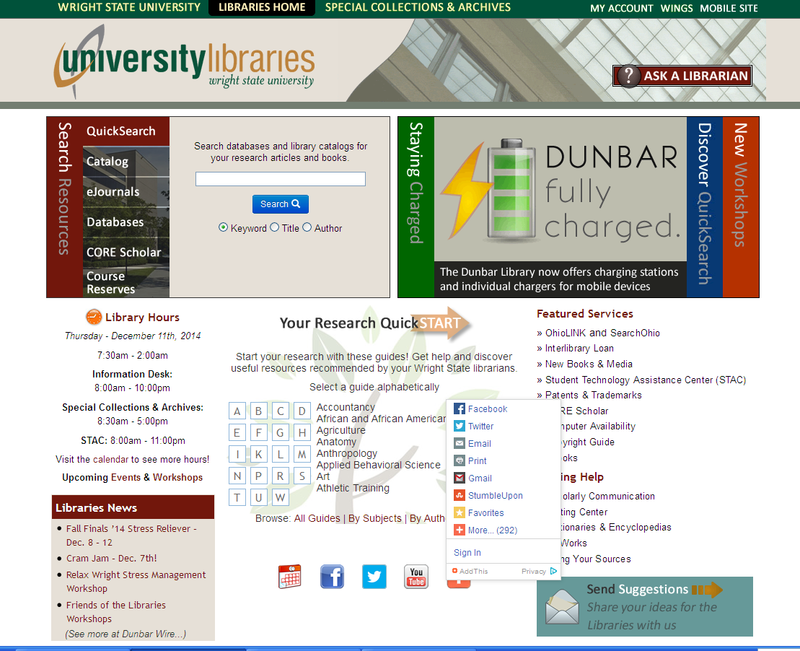 The libraries that have done it right this year have promoted browsing. 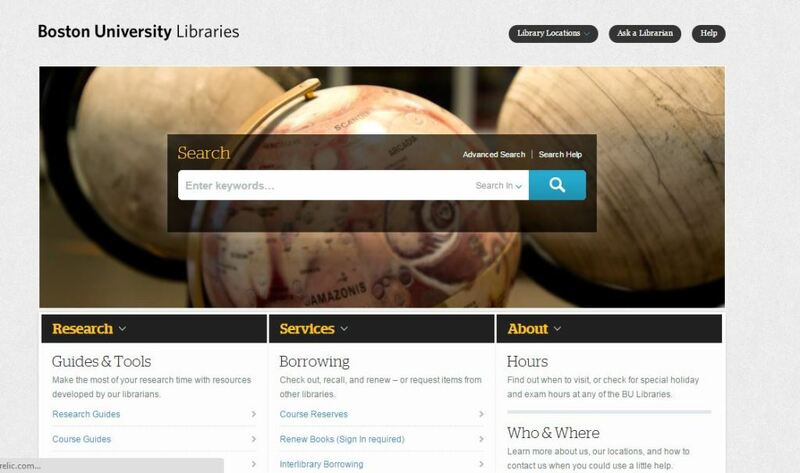 Also this year, there have been many libraries changing over to responsive and mobile-first designs in an effort to accommodate users who need to view the library’s website through hand-held devices. This trend, which emphasizes usability on a screen that is up to 1/10 the size of a traditional PC screen, has had a profound impact design standards and aesthetics. For one thing, it has forced designers to think strategically how to communicate visually, using pictures, symbols and icons, rather than with words, since words are hard to read on a small screen. This poses unique challenges for libraries and other “information-driven” sites, whose content might not lend itself well to visual representation on a screen the size of a granola bar. In many instances, it has also forced libraries to prioritize, far more than they’d like to, which databases and services are going to be most prominent. 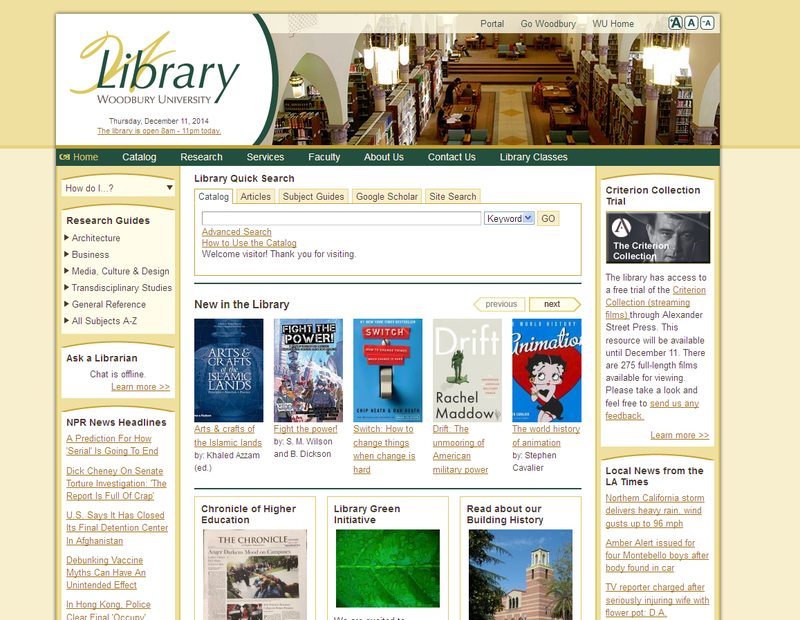 Despite the difficulties and compromises entailed adapting sites to a small screen, many libraries are in the process of redesigning their websites to make them more responsive, that is, better able to be viewed on a smart phone or tablet, and also more easily maintained through a content management system. “Responsive design” and “content management” go hand-in-hand, because placing content into a CMS (a database) makes it possible for page content to reorganize itself dynamically for any sized screen or page orientation. On the Sublime and the Functional: A Romantic Paradigm. 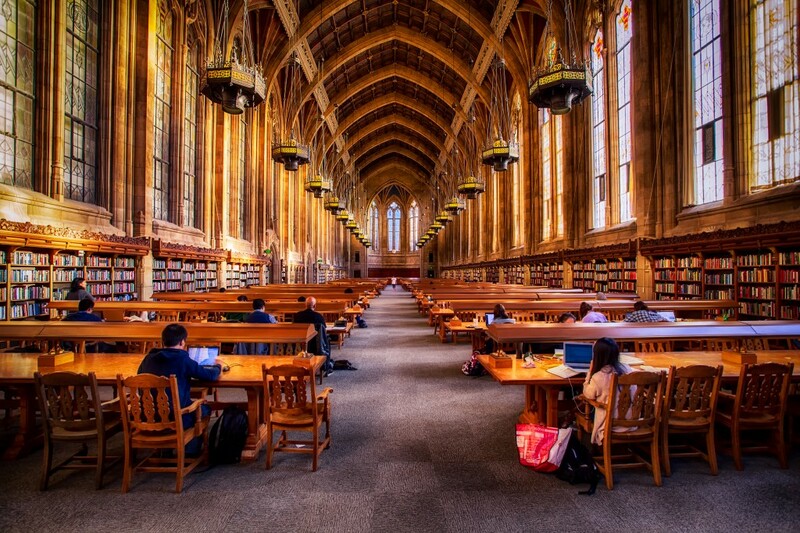 If we can believe what we see in movies, art and blog posts, there is still an expectation, or sentiment, among administrators, library users and nonusers, that libraries be aesthetically pleasing–even magical places, representing unlimited possibilities. 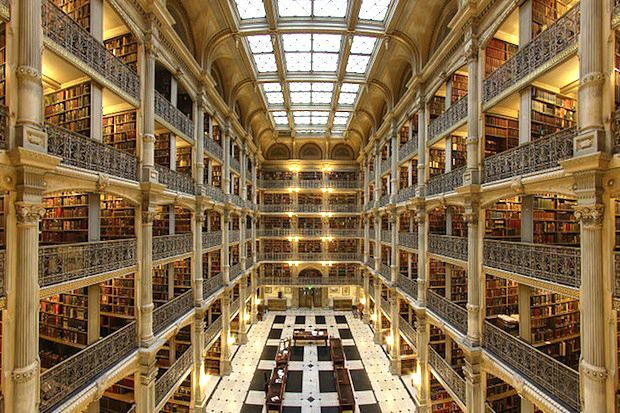 While not all libraries are large or beautiful, and not all have physical books–but the best ones do–I believe that the “infinite library” is still an apt metaphor for optimal user experience. To our best customers, libraries are places of personal exploration, of transcendence, inspiration and possibility. In Kant’s aesthetic framework, this type of experience of boundless possibility can be categorized as “sublime.” How to facilitate this kind of rich experience though a user interface, and especially a smaller and smaller screen, is one of the many challenges libraries face. Having surveyed the library home pages of, arguably, the most beautiful college libraries, from venerable ivy leagues to liberal arts colleges (and also those of the leading design schools, Rhode Island School of Design, Pratt Institute, Cooper-Hewitt Design Library, Cooper Union, NYU, UC Berkeley, the New School / Parsons School of Design, and numerous others), I have concluded that people are just not expecting all that much from academic library websites. Think about it: would you want to buy from an online retailer who gave you just a search box to search the inventory, lists of links, and a text box to chat with staff? No, not unless you had to. No user engagement; no human interest: no personality, no “soul.” People give it soul. 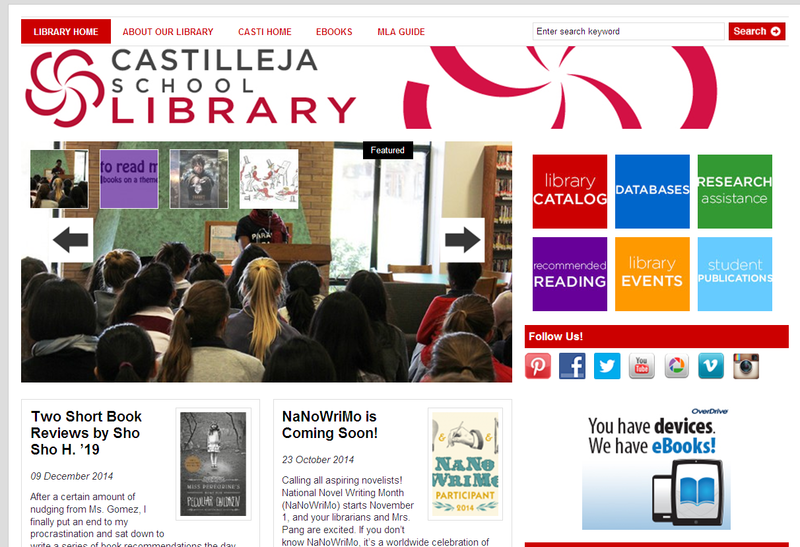 Give your library website a more personal touch. People are naturally interested in what other people are doing and reading. Pictures with people in them, user polls and surveys (with results posted), and even user online maps revealing how many people are online and doing what, are ways to facilitate increased audience engagement. What are your faculty reading? Can you get them to recommend titles and showcase these on your home page? Only provide passive access to resources, but fail to promote awareness of resources in the first place. 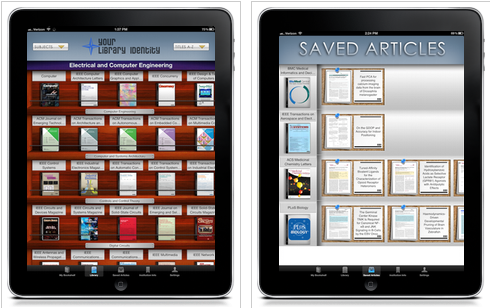 Encourage users to learn about new materials in your collections by browsing apps. 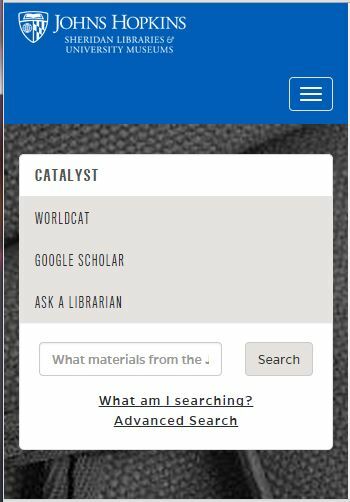 Browsing apps are the new big thing in academic libraries—browsing is not just for public libraries anymore! Check out this flyer from Library Thing about their book display apps. 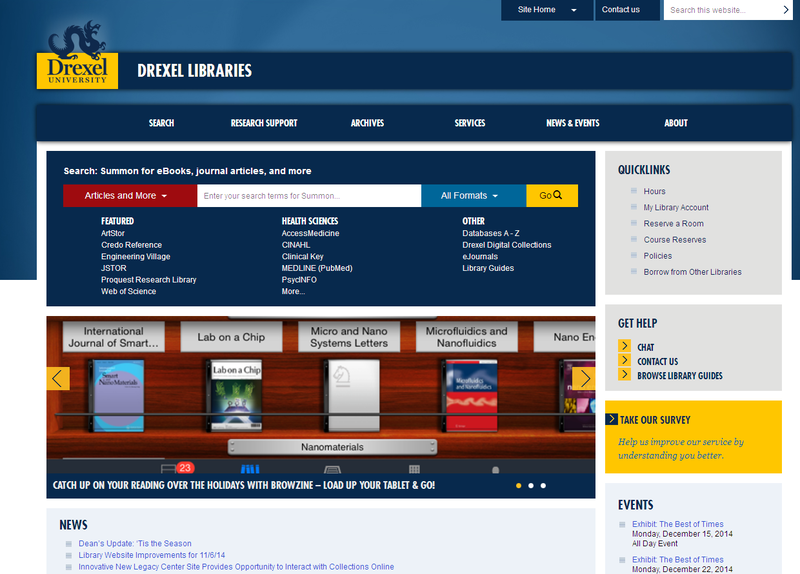 It is now also possible to browse scholarly journals through a graphical interface called BrowZine. Browsing apps are so important that before choosing a platform (like WordPress or SharePoint) I would be inclined to consult with library vendors to see what browsing apps their apps plugin to. Scrollers (rotating images) allow you to put a lot of content where users will see it, and conserve space on your home page. Unless you have a JavaSript programmer on your staff who can code this for you, make sure your site will support a range of scrollers of different sizes. Make sure your site will allow you to place enough of your content where users will see it. Anything below “the fold” will probably not be seen. 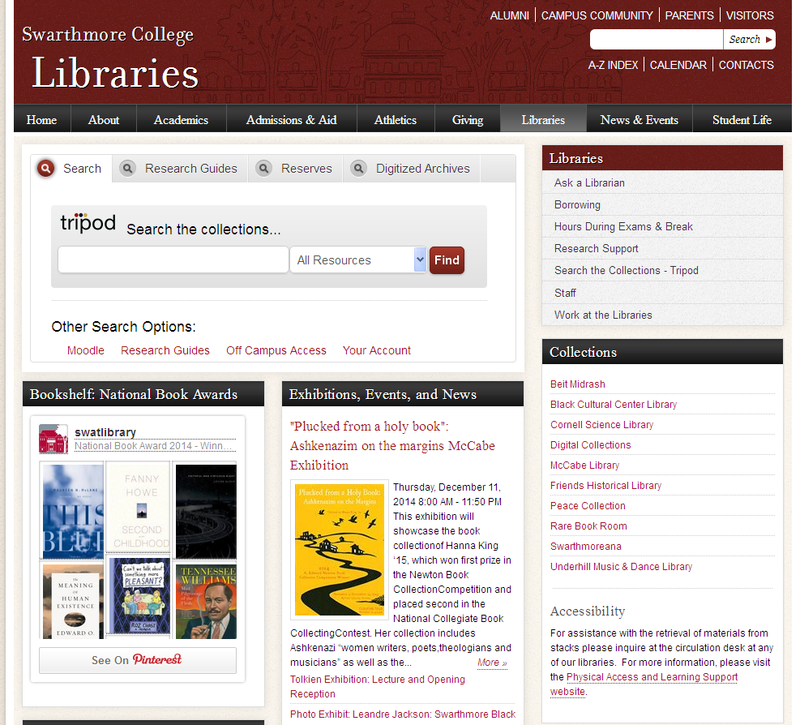 You cannot promote your library without being able to place content where users will see it. 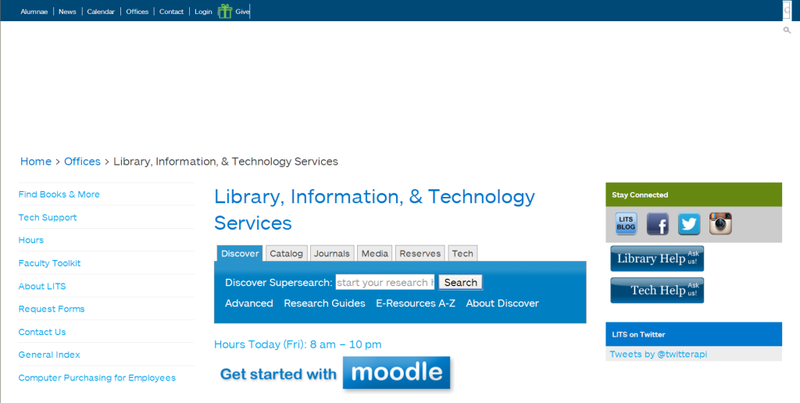 So generic that one library’s home page could just as well work for another. 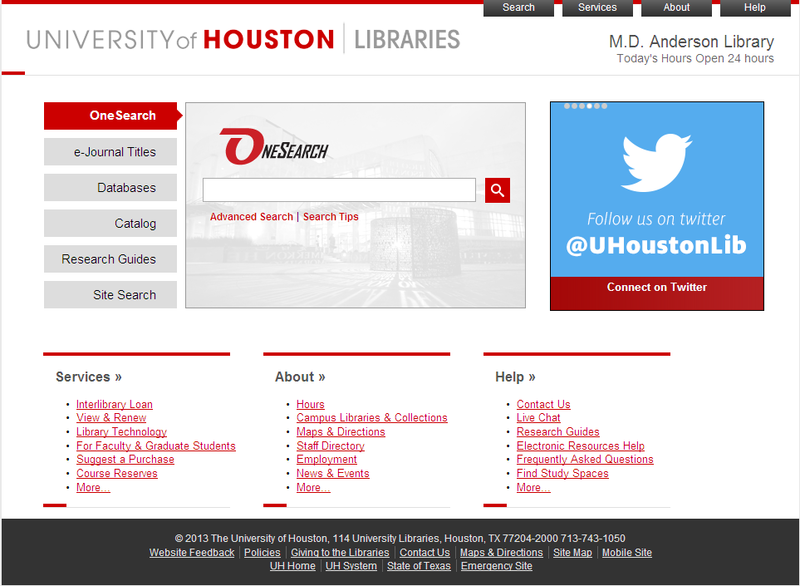 The University of Houston’s home page is functional, but it could really be ANY library’s homepage. I suppose it might be argued that the site’s modern design goes with its modern campus in a modern city not known for its aesthetic appeal, but it is generic, impersonal and about as interesting as a carton of milk. No sense of place. 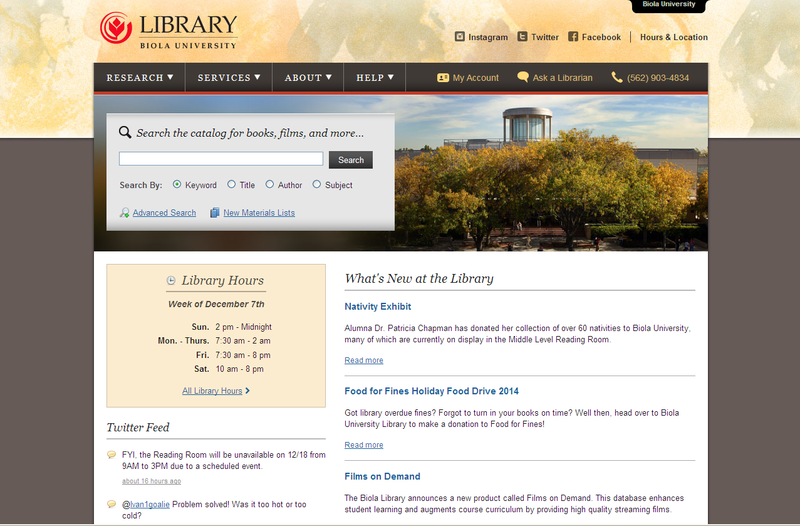 The library website fails to serve as a logical extension of the physical library. 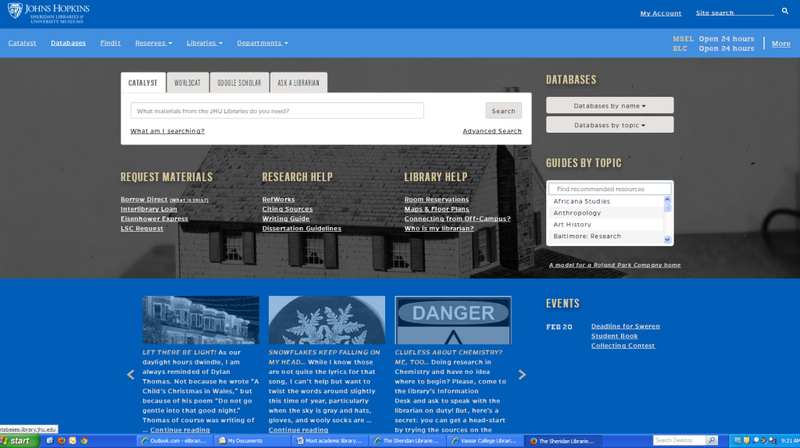 Here, there is no connection at all between the appearance of the library and the design of the website, although there are many visual elements and motifs that could have been incorporated into the site’s design. 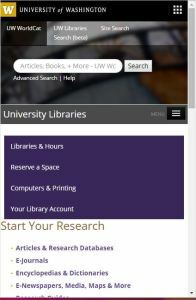 One reason why the University of Washington’s Library homepage is less effective than it could otherwise be for PC users is it employs a “mobile-first” responsive framework, which is why 50% of the page is an excessively large search box. In all honest, it is very tricky to come up with a responsive site that looks really good on a PC screen. Some libraries have opted to offer a separate mobile version rather than trying to come up with a design that promises to look good on all sized screens. 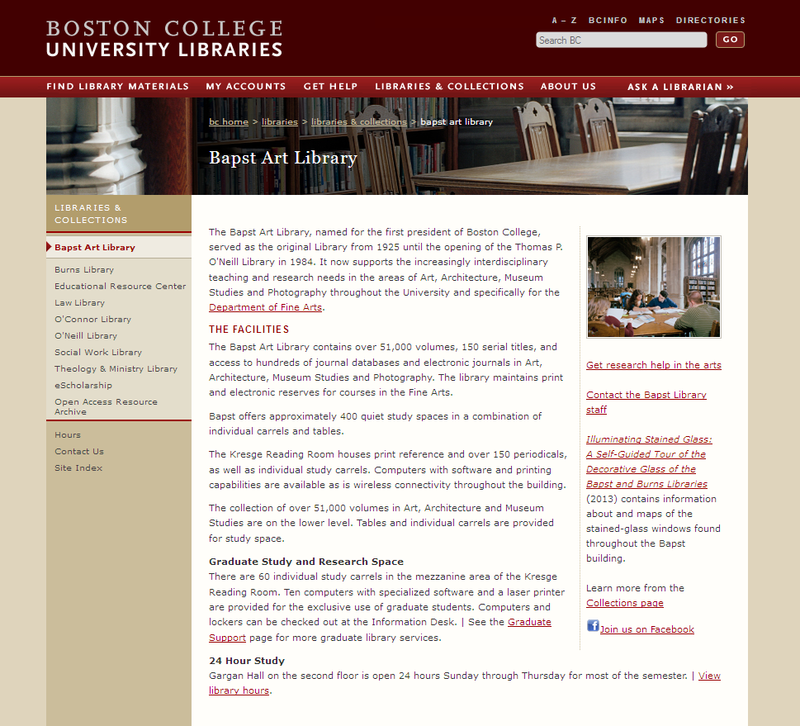 Because I prefer more traditional libraries–wood, paper, leather, books–I thought I would begin by looking at the websites of the most aesthetically pleasing college libraries, thinking that they would have the most beautiful websites. Both the University of Washington’s Suzzallo Library and Mt. 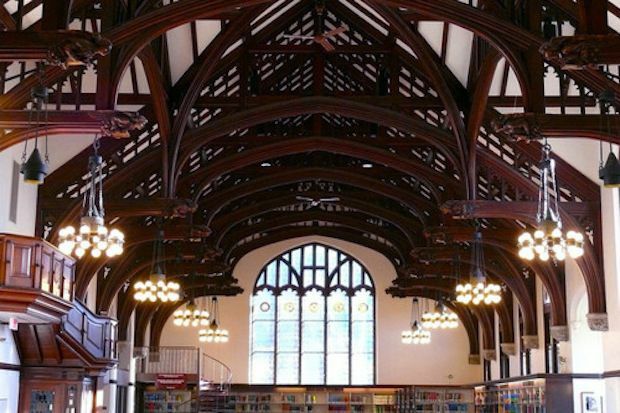 Holyoke’s Learning Commons, above, were included in this list of Magical College Libraries (TakePart, February 5, 2014 Sarah Fuss). 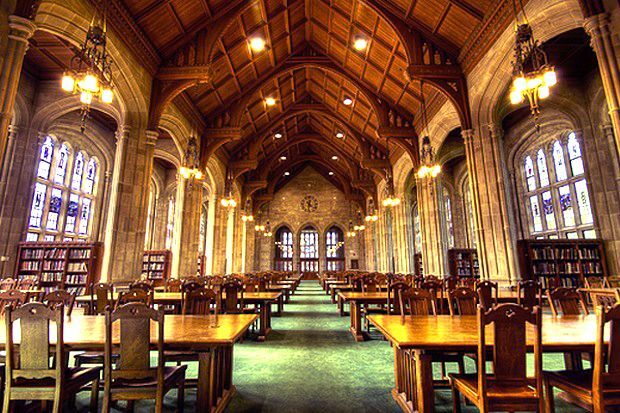 Let’s compare a few more of these most magical libraries with their web pages to see if the magic comes through. Too much descriptive information about the library makes this site boring, especially for an art library. You’d think they would offer more visual content. Actually, Vassar did a very nice job on their site because they incorporated elements of their architecture into it, giving it a sense of place. They made good use of screen space for PC users, offering a separate mobile version so they didn’t need to change the proportions or orientation for smaller screens. Vassar gets a “great job”. 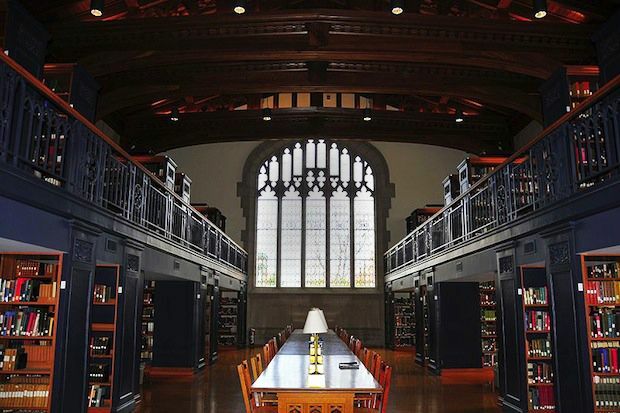 As with Johns Hopkins, many of the so-called magical libraries on the Most Magical list are now the rare books library for the school, and some are even closed off to students, so they really don’t represent “the campus library anymore.” It’s only where fundraisers and private parties are held. 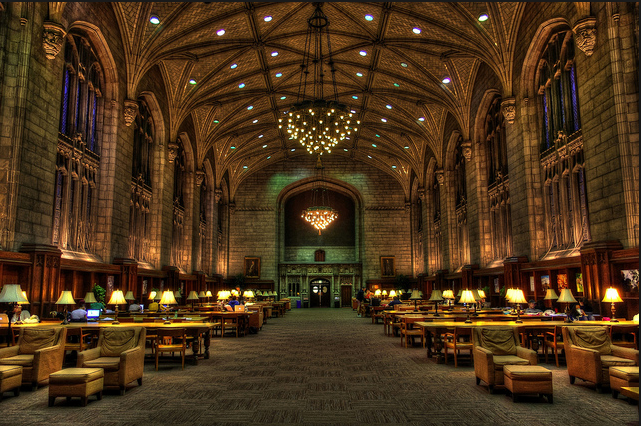 Another library on the Most Magical list, the University of Chicago’s Harper Library, also isn’t functioning as the university’s library anymore. In fact, the books that are there are merely ornamental. The space is now a study hall. Interestingly, the University’s of Chicago’s newest library also lacks books–at least visible traces of them. 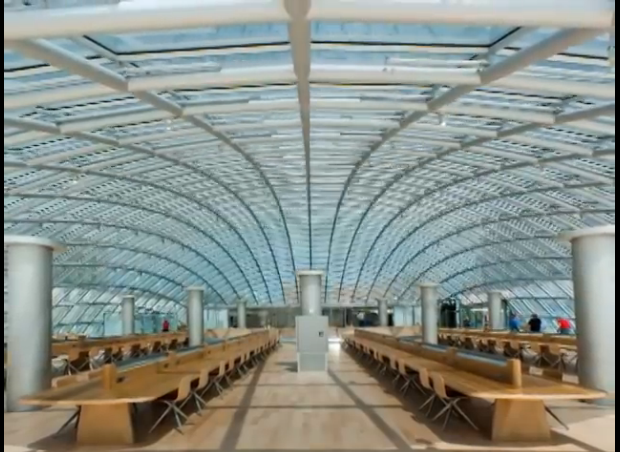 The University of Chicago’s latest library, serving both the sciences and humanities, is a glass dome with all the books stored in an underground bunker, retrieved by robotic cranes. This dehumanizing monstrosity is celebrated as award-winning from an architectural standpoint, a great mechanical wonder, but I wonder if patrons really enjoy their experience as much as they would a regular library with open stacks, more intimate spaces, books on display, newspapers and a little less sunshine. You can see how it all works in this video. 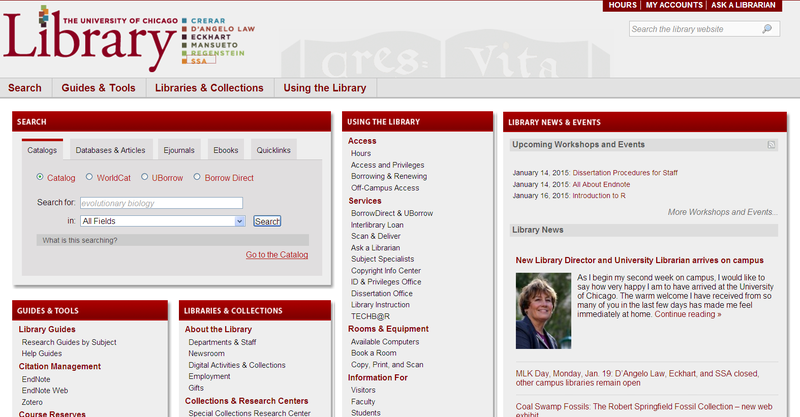 The design of the University of Chicago’s library website is also blah. 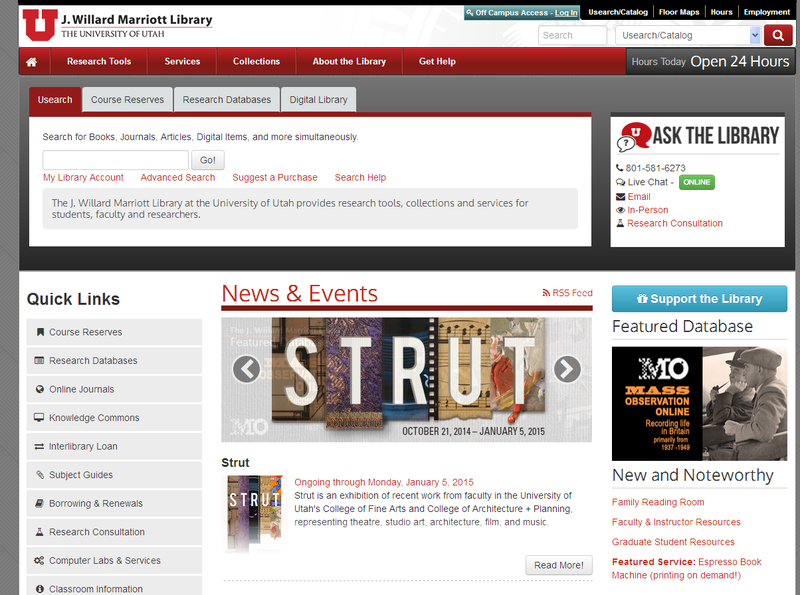 The site fails to inspire because–like the library–it doesn’t actively promote its collections. It lacks soul. A new romantic spirit in the library is to focus not on the delivery of information, but on facilitating the type of intellectual experience your user will experience in the library. It strives to create an immersive environment which is rich, stimulating and promotes discovery. 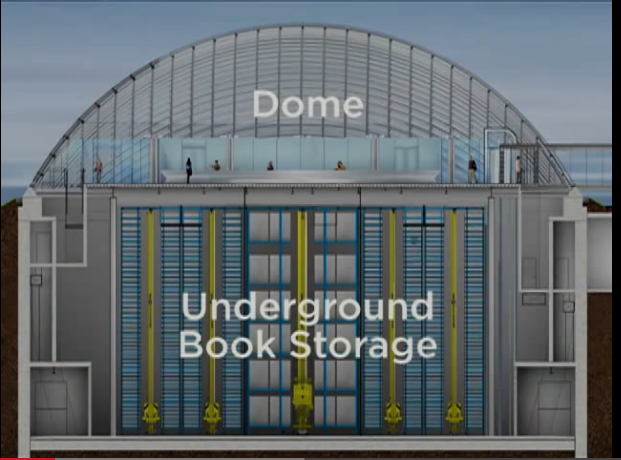 It is the exact opposite of “the dome,” where there are no visible human works and no ability to browse. This is not a library, but a warehouse. header area which contains, hopefully, the library’s logo (and not the university’s) justified left, and ideally some other useful element off to the right so that space is not wasted. Put content where users will see it. Realize that anything “below the fold” will be invisible to most of your users who aren’t going to bother to scroll down just to see what they’re missing. Use the website to promote things of interest to your users. You don’t promote the library by talking about “the library.” You promote the library by marketing your content and your collections. Use your website to create a sense of place. Have the design elements used on your site reflect in some way or “reiterate” the beauty spots of your library, even if just an accent. Use a complex palette of 5 complementary colors. Use color to divide different areas of your site, to add interest and to minimize clutter. Remember that research of all kinds is a humanistic endeavor. It is not about “information” but publication. Strategize how to make your website meaningful and relevant to your constituents. 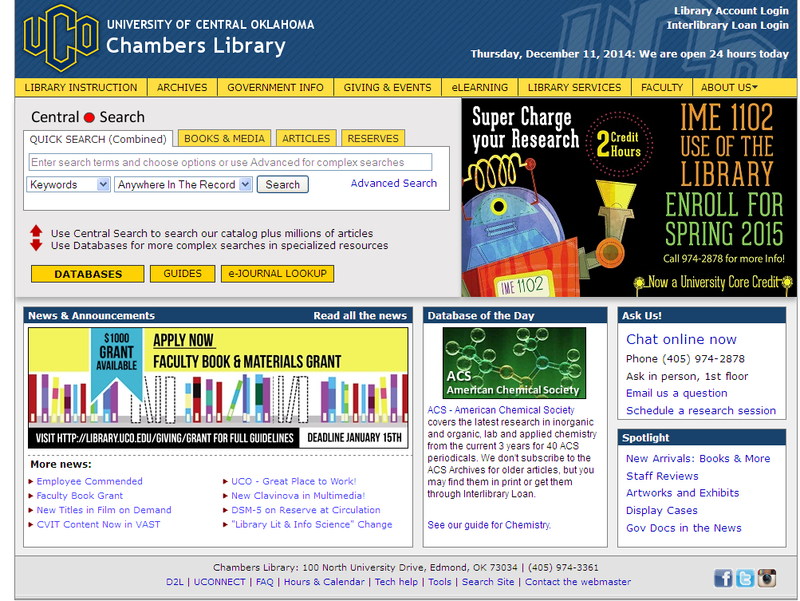 Library websites fall into the category of information-driven sites, in that they are mainly about conveying information that is not inherently visual. With information-driven sites, it is often difficult to use icons and pictures in place of words in order to communicate visually with users. Concordia University Library is not on my “best of” list, but they gave it a good try, even they apparently don’t have much to work with compared to the “most magical” libraries. There are only so many ways to make information-driven sites aesthetically pleasing–mainly though color, fonts and graphics. The icons on their site give it more visual appeal. Having sat down with the Directory of Higher Education, running the gamut from the largest to the most obscure libraries, from design schools to traditional liberal arts colleges, I can honestly say I have looked at least 50 websites in the last two days. This is a nice design for a small library. The warm colors of this site and the watercolor wash at the top give it visual appeal. The page is uncluttered and relaxing, with the search box a clear focal point. The picture of the library helps establish a sense of place of serene beauty, while the traditional sarif font conveys tradition. 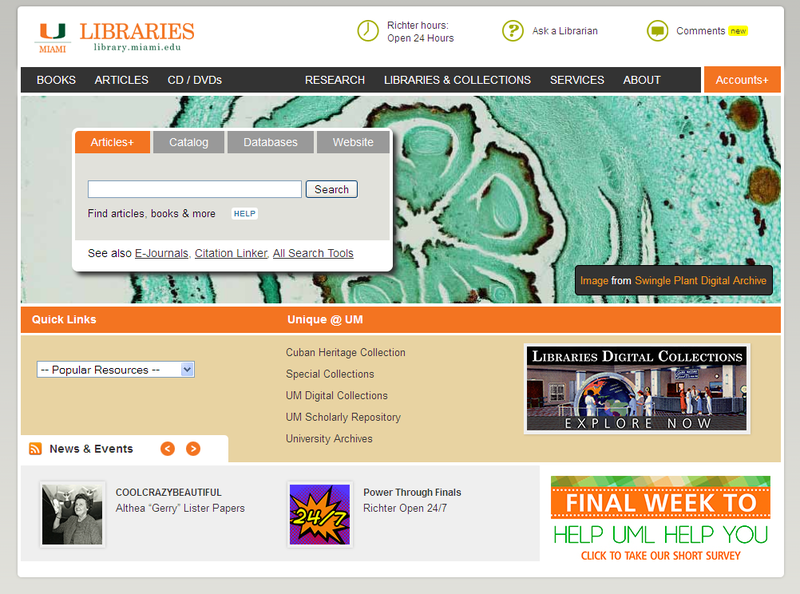 The italics over the search box and What’s new at the library also conveys warmth and friendliness (spoken word). Events are prominent, making it easy to post announcements where they will be seen. No apps or moving parts, just a nice, well-balanced design with attractive colors and accents. The placement of the search box on the left makes it user friendly for people on small screens, even though the site is not responsive. A traditional editorial style communicates book friendly, appropriate for this liberal arts college. The site set out to convey literariness and succeeds, with most of its aesthetic appeal coming from thumbnails of book covers. They did a great job creating a sense of place and promoting their resources. The page reiterates the architectural motifs of the space. Classic and tasteful. Makes you want to go to the library. 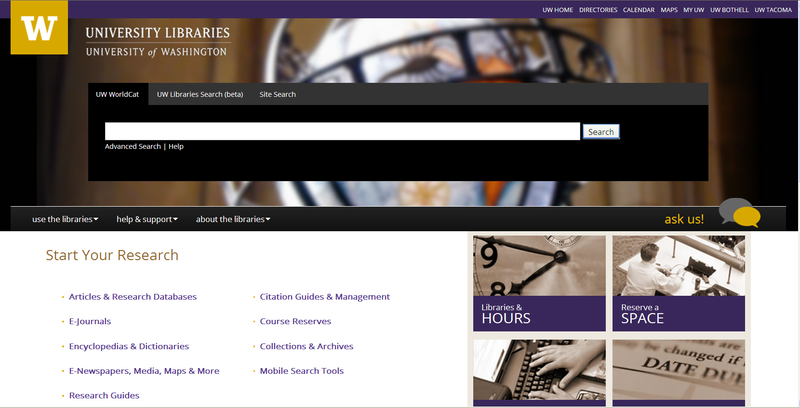 Plus you can get to the Chronicle of Higher Education from the library’s home page. When I first saw this site I didn’t like it because it looked too much like a comic book: I didn’t like the blue and yellow (school colors). But the more I came back to it the more I liked it, and now it has become a definite fave. “Database of the day” is a nice touch. Looks as if a graphic designer is staff. There is a lot of information packed into a small amount of space, well thought out with graphics to add interest. I like the bold look. I have to admit I waffled on whether to include this one or not. I’m not sure I like it, but I like aspects of it. Boldly contrasting primary colors in responsive design framework. Love the Browzine feature. Modern design, friendly round font, clean and simple, unpretentious; I like the unusual new book scroller. Reminds me of the United Colors of Bennelton, and maybe it is supposed to? A customized WordPress template is used. Concise modern design, cool Miami colors; includes photos of the place and emphasis on collections to add interest. Like the new book slider feature at the bottom. Large image scroller and small scroller keep the site fresh. Another WordPress site; this library does an excellent job showcasing its collections and creating a festive, upbeat mood. Large colorful boxes serve as buttons, making this site easy for mobile users to navigate. Not likely to win awards, but it is simple but effective as a community resource for the university. Like that it features events and new databases. Allows room for communication with patrons. The header is minimized, creating more room on the page to place more content where users will see it. Moral of the story: Give them a Reason to Come to Your Library. 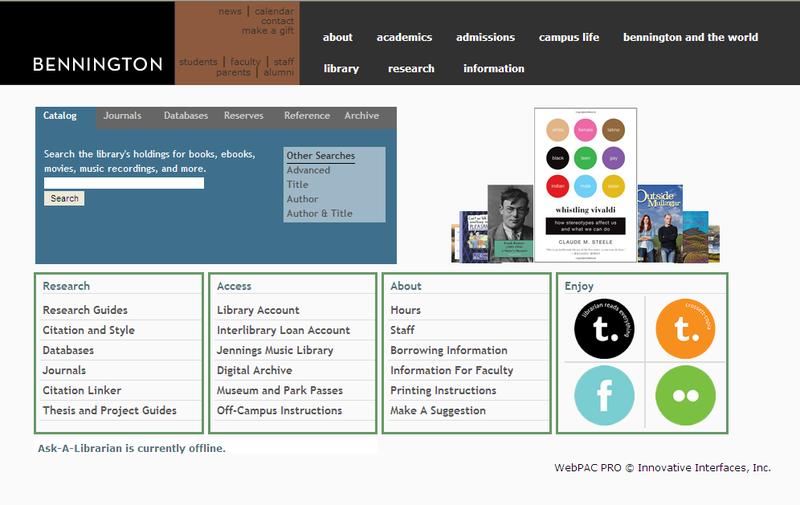 As I was looking at different websites, I realized that my selection of best websites was influenced by my philosophy of librarianship, that is that college libraries should be about their collections (promoting, showcasing, adding value), and about creating a sense of community on campus–going beyond information. They are “romantic” places, in that they nurture the intellectual and spiritual nature of people. 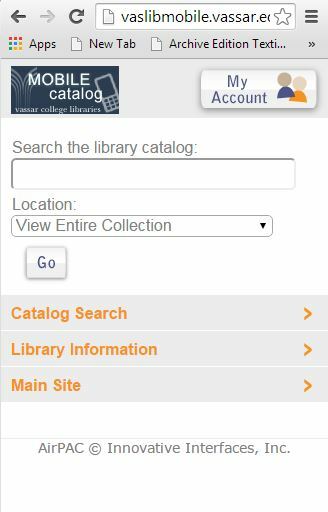 Not only is showcasing new books and databases a good idea to help market your library, but it adds visual interest to your website. While it is typical for academic libraries to look at other academic libraries when coming up with design inspiration, public libraries might be more innovative when it comes to user engagement. With vendors willing to provide widgetized apps to browse new books and the contents of magazines, and with so many plugin sliders and scrollers, it is easier than ever to promote awareness of resources to keep users engaged and delighted with your library. Today, content management systems (CMS) like WordPress, Joomla and Drupal are widely used to create and manage personal and corporate websites because they support social media, blogging, multiple contributors/collaboration, plugins for e-commerce, and the rapid development of low-cost “responsive” (good for viewing on any sized device, whether phone, tablet or PC) websites. With these new platforms, menus and page elements are created through code rather than through images. This speeds up development time, allows users to easily change the fonts and colors throughout a site, permits faster page loading, and, depending on the design, allows the menus and other page elements to rearrange themselves to accommodate different-sized screens. No knowledge of how to scale your site to different screen sizes is necessary, and no database or SQL skills are required–-though a database runs behind every CMS, serving as the repository for site-related images and text content. It is easy to add and update page content, or completely change the look and feel of a site (called “reskinning”) by selecting, installing and activating a new theme. Once a theme is activated, third-party plugins can be added to provide even greater functionality, from a contact form to a weather report widget. Of the three content management systems used for websites, WordPress has the reputation of being the friendliest for non-developers and enjoys the largest base of community supporters. Many libraries have adopted WordPress as their web platform because of all the ways it can be used to create and maintain dynamic, graphically pleasing pages in a collaborative environment. Although there are literally hundreds of WordPress themes to choose from, you probably won’t find your perfect theme right out of the box. First, the colors and fonts selected by the theme developer are chosen to match the palette of the (often stunning) images he is using to sell his theme, and won’t necessarily look so good with your content. Secondly, the standards set out by WordPress require that much of a site’s functionality (calendars, form builders, starred reviews, etc.) be handled through separate plugins. According to the WordPress Codex, they are not to come bundled into the theme, like the way IE comes bundled into Windows. Therefore, most themes are too simplistic for complex organizations and businesses to use without some customization, installing widgets, and adding plugins. Familiarity with HTML, CSS and PHP will be helpful to transform a generic WordPress theme into something that can meet the real-world business requirements. Selecting a theme. Because users are provided with all the theme files, every WordPress site is inherently fully customizable. You have access to all the code, after all, you are welcome to change it however you like. But that’s not what most users mean by “customizable.” You want it to be customizable through a theme options panel or some graphical interface, or through minor changes to the CSS. Here themes vary in their capabilities, and some sites are designed better than others. By the same token, it is assumed in the WordPress community that anyone using WordPress knows HTML and CSS, and can edit the CSS file to make basic formatting changes. The challenge for most when choosing a theme is to read between the lines to figure out what part of a theme ISN’T customizable without hiring a developer. Unfortunately, the following QA with the theme author is more the norm than the exception, and this theme in particular–named Customizr–was supposed to be completely customizable! Can you resize the slider? And if I do can I put text to the right of it, or am I stuck with unusable space? Can you resize the header so it isn’t so tall? Can the theme’s header extend to the full width of the screen? Say your logo is on a colored background, orange on burgundy. Can you eliminate the white margins of the logo/header area without eliminating the white margins for the rest of the pages? Can you have more than one menu, one across the top and the other down the side? Can I pick any colors, or do I have to choose between the ones that come with the theme? Can I change the distance between the header and the slider? These may be important considerations to you. Once you start working with a theme other considerations will surely come up that you had not anticipated. Before you invest your time and effort, determine if a theme has large community support, see what problems others are having and how long they have had to wait for a response. It is impossible to know for certain if a theme is really going to meet all of your requirements until you start working with it. Many people will experience that theme selection is a time consuming process of elimination. Luckily, because in WordPress the design and user content are separate files, you easily pour your content into a new theme and start over, if necessary. WordPress templates do not come with WYSIWYG editors. You cannot see what your content really looks like on your website until after the page is published and the style sheet style gets applied to it. In this case, I’m looking right now at what appears to be 10pt Calibri, which will be converted to 14px Open Sans. Changing Design Standards. In the past, websites were carefully planned and organized along a horizontal axis, to make the most of screen real estate. Historically, more concern was given to scaling up for large monitors than down for small screens. The objective was to present as much content on the home page as possible without requiring users to scroll, and to put content where users would see it. Mobile devices and touch screens have revolutionized the way websites are being created as well as the design principals and standards used to present and organize page content. For one thing, sites are increasingly being designed along more of a vertical axis, as when we hold mobile devices in our hand we tend to hold them vertically, scrolling down to move through the content. Second, and contrary to what one might expect, default fonts and pictures have actually gotten larger (14 pt. is now standard) as screen sizes have gotten smaller, which means the visible screen area of websites can accommodate less text. Designers are putting less textual content on the home page and strategizing how to say it in less space, especially through pictures and icons. What appears on the PC to be “giant sliders” and and/or tall headers with few words on the home page and is fairly typical of responsive designs. Responsive designs pose unique challenges for information-driven organizations and businesses, who might be better off with a more traditional layout optimized for PC users while offering a separate more spare mobile-friendly version of their site. Not all sites developed on a CMS or WordPress are “responsive.“ Though people often turn to WordPress for its large selection of responsive designs, some WordPress sites are “flat” (unresponsive), others are flexible (expandable columns), and there is even something called “parallax.” which is more of a layered approach to organizing content using transparent sliding panels. Most companies, universities, libraries and museums are already using some kind of proprietary php-based content management system similar to WordPress as a platform for their website. The reason for this is that once a selection of page templates are set up, it is easy for users to download these and enter their content without site administrators having to worry about users breaking anything. Content management systems are more secure. Choosing the right theme is half the battle. Newcomers will thrill at the thousands of WordPress themes available to them free of charge on WordPress.org’s Themes Directory, Themes Finder, and other sites. Not only can you preview themes, but once you have a WordPress account, you can try them out with some of your own content before committing to them. 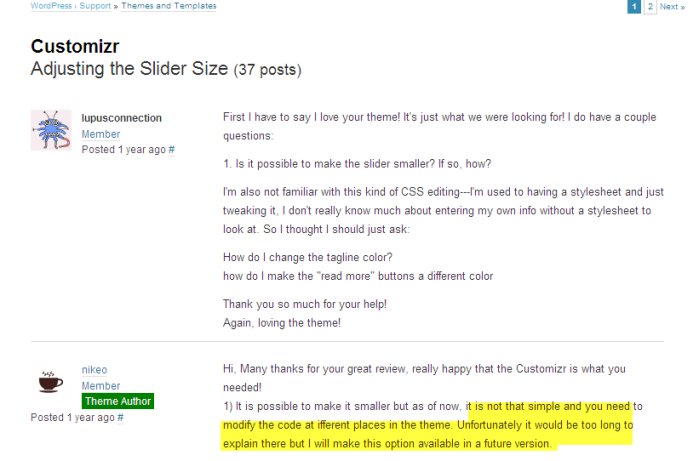 On WordPress.org, you can also read reviews of each theme and see how many have downloaded it. Because free sites are primarily supported through their user community, it might be important for you to pick a popular theme, as you will benefit from the collective wisdom of larger user base. There are also hundreds more premium themes, that is, themes which cost money, but come with the promise of developer support and greater functionality. Most premium themes are less than $60, and have more limited free or trial version for you to try before you buy. Despite the seemingly endless selection of WordPress themes, and the adulation given to those showcased in best-of-breed WordPress theme articles (I haven’t figured out if these are for real or marketing), but I don’t consider any of the WordPress templates I’ve encountered live up to their reputations as “stunning” or “beautiful.” The default photos loaded into them, yes, certainly. But the themes themselves mostly seem to follow certain formulas of large header and/or big graphic, followed by three smaller images followed by a minimal amount of text, and a footer. 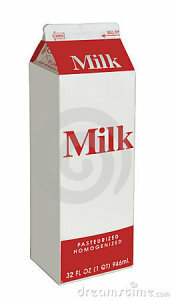 Most look too commercial and ephemeral, like an advertisement, billboard or page out of a magazine. Maybe I just don’t care for “minimalist,” “sleek” or “modern” designs, which comprise the bulk of what’s out there. Or maybe it is because WordPress themes are templates, and templates by definition are generic–like picture frames. However, if you’ve already spent hours or days looking for something really special or that uniquely defines you or your organization, you’ll know exactly what I’m talking about. If you are in a band or managing one, are a professional photographer, blogger, graphic designer, pastry chef or tattoo artist, own a Chinese restaurant or hair salon, or are designing a site for a church, you’ll have a lot of specialty themes pick from. But it can be a daunting task if you are wanting to create an attractive site whose product is information and/or services which cannot be readily summed up with pretty pictures. If the subject matter of your site does not lend itself to literal representation—say, “autism”—or “information literacy”–or articles about librarianship–then you may have to get creative and use images metaphorically—like a hand or puzzle piece–or pick a WordPress theme which doesn’t derive so much of its aesthetic value from pictures. Most WordPress Themes are meant to be generic. Most are not so much themes but templates—content placeholders. You are supposed to upload your own photos, sometimes your own background, sometimes your own header image (called “custom header”), select your own font (if you don’t like the default), select your colors (they usually give you options from which to pick, or else unlimited color choices), and take it from there. You need the template to serve as a base which will provide you with core WordPress functionality for creating pages, posting comments, uploading images, site navigation, and plugging in your plugins. Again, the majority of WordPress themes are responsive, and responsive themes might not look all that great on your desktop monitor, especially if you are using a large monitor. The popularity of oversized (high-impact) sliders, large attention-grabbing graphics, large “calls to action,” tall headers, over-sized headlines, and use of large icons and fonts, may make the theme fantastic for viewing in the palm of your hand, but in all honesty, it doesn’t look so hot on a PC. A large distance between the page header and page content seems to be indicative of most responsive themes. PC users have had to sacrifice a significant loss of informational content to accommodate these new design standards. Know what parts of the theme are customizable without having to code. This is the hardest and yet most important thing for you to figure out when selecting a theme, because not all WordPress themes support the same degree of customization. There is nothing written into the WordPress Theme Standards which specify all themes are to allow, say, multiple text widgets, resizable sliders, unlimited color choices. Also, some are customized through their own Theme Options panel. See if the theme is well documented, or documented at all, and read the documentation before you invest in that theme. Most people are willing to make minor changes to their css syle sheet or small edits to php files, but if it gets much beyond that for you to be happy with a theme, you should really consider a theme that better matches your needs. As a rule, sliders (image rotators) are not resizable, and for those that are, you can’t use the empty space to place text or a widget next to it. You also can’t usually put a widget in the header of your page, for example, or place content wherever you want on the page. You are strictly bound by the layout of the template as to where you can and cannot place content. Don’t expect the theme to do too much. When I first embarked on my project, I wanted my theme to support an event calendar which fed out to the home page, multiuser ratings and a business directory, among other things. What I discovered (and what many theme developers tried to tell me) is that it is better to handle these functions through plugins, rather than selecting your theme based on functionality. Why? Because if the calendar which comes bundled with your theme does not support recurring events, or if the reviews can only be written by you and not visitors to your site, you’re stuck. It’s better to pick a theme you like and look for dedicated plugins to handle your functional requirements. You can always change these if your needs change. Pick a theme that is on WordPress.org. My understanding is that there is a code review/vetting process before a theme is listed on WordPress.org to ensure that they meet WordPress’s published theme standards. The theme I picked out initially, paid for, and ultimately abandoned, was not a “good” WordPress theme, though it looked great. In fact, every WP theme that I have downloaded and installed that was not also listed on WordPress.org had problems. Try to pick a popular (downloaded by many) theme. Read the Reviews and Support Forum on WordPress.org to see if people’s questions are being answered and to learn what others have done with that theme. Look to see when the theme was last updated. If it was over two years the developer has probably moved on. Google the theme to see what others say about it. Do some due diligence. In the WordPress dashboard, try out a few “skins” with your own logo and pictures. Many themes have a free and a premium version, allowing you to try on the look and feel of the theme before buying it. Indeed, one of the great advantages of having your content stored in a database is that you can easily pour it out into another theme template. You may be surprised how much more or less appealing a theme looks when you add your own images and content to it! Some themes look great only because the featured images are so fantastic and they are color coordinated to the site. If you can’t use those lush, color saturated images which come with the template—your church or library doesn’t look like that one—how is that theme going to benefit you? Understand the nomenclature. A custom header and a flexible header are not the same thing. If you want to customize the header for any size graphic that you need a theme that supports flexible headers. WordPress.org maintains a glossary of terms, but here Google is your best friend. Ultimately, you want a site that is sustainable. Over-sized components and greater reliance on changing graphics (image rotators and sliders) is part of the mobile-first trend, designing for rapid consumption for viewing on smaller and smaller devices. From a design standpoint, it would be a beneficial to decide not simply how much informational / textual content you have, but what graphics you can supply and can generate on an ongoing basis. Maybe you don’t want a slider that you have to update with images from your latest blog posts; maybe you don’t want images to accompany blog posts. Maybe you don’t want blog posts at all. By the same token, if you want a web presence, but don’t want to have to maintain a blog, then you can opt to publish content as pages and not as posts. You can create a site that functions more like a traditional website than Facebook. Of course, you can also create a traditional website the old fashioned way. In conclusion, WordPress is a wonderful tool particularly for developing responsive websites, and I encourage people to give it a try. Having an understanding of why things are the way they are, in terms of layout and design, may help you to make needed concessions and intelligent choices when deciding upon the best theme for your project. Best of all, if you don’t like it, you can always change it down the road without losing your content. Concept maps have made a come-back in education, especially in teaching critical thinking, research methods and writing skills. Feeding this revival are online tools that generate concept maps. 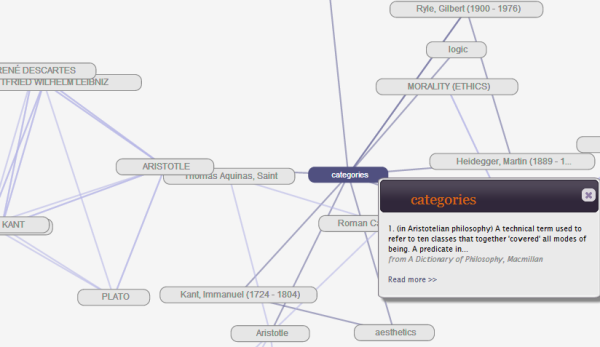 However, few people know that concept maps, logic trees and topoi have a long history going back to the Ancient Greeks. They continued to be popular throughout the Middle Ages and Renaissance. 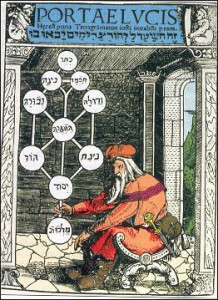 Here are just a few examples, the most recognizable being the Kabbalistic Tree of Life (a “concept map” for God’s divine attributes, image 1, and Porphyry’s Tree of Knowledge (images 2 & 3 below). 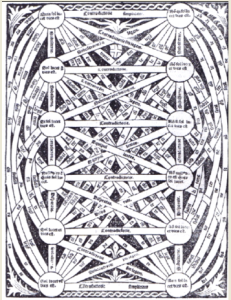 The tree was a systematic approach to the organization of thought in diagrammatic form, ultimately inspired by Aristotle’s Categories. 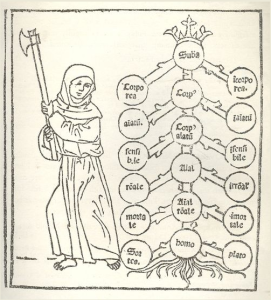 Medieval philosophers from Boethius would create these trees, often attributed to Porphyry (Arbor Porphyriana), when they wrote commentaries on Aristotle’s Categories, or on Porphyry’s Introduction to Aristotle’s Categories, but the trees took on a life of their own over time in European thought, appearing in textbooks and treatises on all subjects. As a Librarian, Cataloger and former Medievalist, I have always had a fascination for these efforts to systematize everything and visually present knowledge. Back then, it reflected a conviction that there is an underlying order or logic to the fabric of existence. This metaphysical structure can be affirming (positivism) because it allows us to know–or dark, like in the dystopian movie, The Matrix. Or, it can be just a handy way to present information visually. 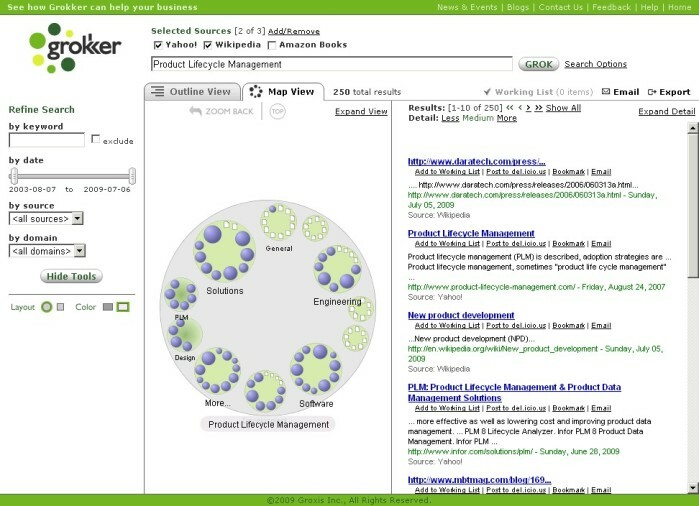 Grokker, by Groxis, was a similar type of click-and-zoom visual navigation and federated search mapping tool that was very useful both for obtaining an overview of topics and doing more in-depth research. Depending on the topic and the target databases selected, it could allow the user to potentially drill down several levels to get to articles of greater specificity. Circles represented document clusters, and documents were represented by page icons. It was based on the metadata returned from the contents of hundreds of full-text databases and online repositories. It would automatically cluster and categorically label documents returned from various sources. It was very smart, capable of disambiguation (e.g., Paris Hilton from the Hilton in Paris). Despite having its technology embedded in EBSCO and Gale’s visual search tools, the company closed suddenly in 2009. Here’s an illustration of Grokker I pulled off the web: I’ve noticed that many library database vendors are now coming out with new visual search interfaces, but none of them are as good as Grokker (I was an employee at Groxis, but I can honestly say it was far better than other federated search or visual search tools for libraries, and especially in the years it flourished, from 2003-2009). At my institution, tools like Credo’s concept map help keep students engaged during a presentation (it has a big COOL factor), but, unlike Grokker, they are of limited research value for scholar.